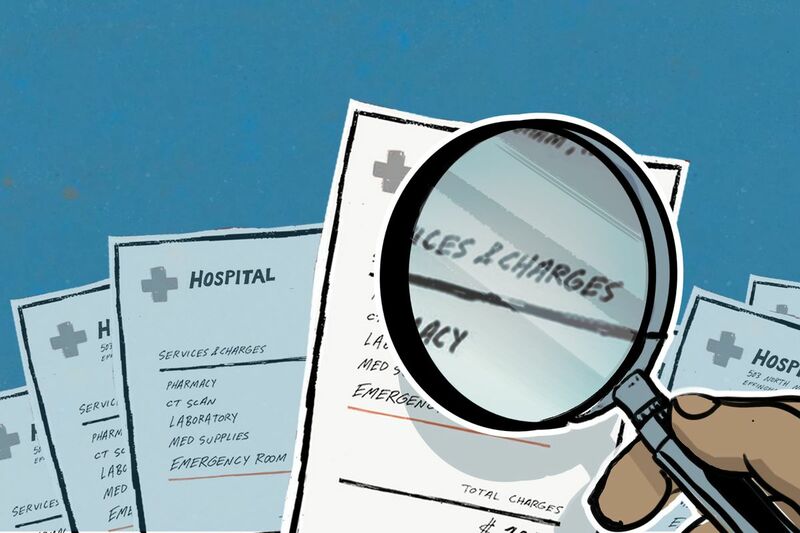 Vox senior policy correspondent Sarah Kliff has spent the past year investigating emergency room billing. She’s read more than 1,100 bills that readers have sent in. She did a Reddit Ask Me Anything session on January 22, discussing everything from surprise ER billing to how to negotiate an ER bill to health care reform. Here’s a roundup of some of the most interesting questions and answers, lightly edited for clarity. tunaonrye: What information do hospital admins have that insurance providers and policymakers don’t have? Sarah: The key information that hospitals have is the prices they get paid. Policymakers don’t have access to that information. Insurance plans have partial access because they know the prices their plan pays for medical services — but they don’t know the prices that other insurance plans are paying. This data is really crucial to understanding how much health care costs; it’s also important for patients in terms of understanding how much their doctor visit or ER trip will cost them. Without it, it’s a lot harder for policymakers to come up with good solutions because we don’t know everything we’d like to about the problem. JRS988: Why aren’t out-of-network doctors not required to inform you of their status when they are employed at an in-network hospital? Why shouldn’t patients be given the chance to ask for an in-service physician? Sarah: There’s already been a really interesting conversation around this that I think answers much of your question. The one thing I’ll add is that there is some discussion about creating policy to partially address this issue. There’s a bipartisan bill in the Senate right now that would, among other things, require out-of-network providers to disclose their status to patients after they have been stabilized. The patient would then have to sign a document confirming they had been made aware of this. You can read more about that bill here. The tricky part, as other commenters have noted, is that in emergent and traumatic situations, you often have patients who can’t do much to advocate for themselves. This is especially true for patients who are unconscious but also even those less severely injured, who are told they need some sort of care and the ER is the only place open where they can get it. Even if a doctor did disclose they were out of network, the patient still wouldn’t have much leverage to seek care elsewhere. 3) Surprise bills seem like a huge issue. Why isn’t Congress fixing it? Slap_a_Chicken: The surprise- and balance-billing issues seem like such obvious public policy issues, yet there doesn’t seem to be any rush to pass legislation to fix them. Why do you think policymakers aren’t treating this problem with more urgency? Sarah: Definitely agree that this seems like the type of health policy issue that should move relatively quickly. You have Democrats and Republicans who want to fix this and are coming up with policy proposals that have already been tested in the states, and patients complaining about the issue. That being said, it seems to me that balance billing legislation could end up stuck in the general gridlock of Washington. There are some powerful interests who would likely oppose these bills (hospitals, for example), and that could also slow things down. From what I can tell, there seems to be more momentum right now behind plans to reduce prescription drug pricing (likely an issue that affects more patients), than there is around balance billing. I think if this does move forward, though, it will be part of some larger package of legislation rather than a standalone bill. Bills like this often have better odds when they get tacked on as a smaller part of a bigger bill. identicallyzero: Are there any legislators at the national level (or even state level) that you think are taking up the cause of balance billing? We’ve heard murmurs about it here and there (and some states already taking action), but we know nothing big will happen until someone champions it. Sarah: The two senators I’ve seen working on this issue are Sens. Maggie Hassan and Bill Cassidy. I’ve written about Cassidy’s plan here and Hassan’s plan here. Kai_Daigoji: Why [doesn’t an] insurer’s ability to negotiate for lower prices seem to exert much downward pressure on health care costs? Is it just that hospitals can pass along the full cost to the patients regardless, or is something else at play? Sarah: I think the key thing here is that insurers don’t actually have much leverage in negotiations with hospitals. It’s really hard for insurers to exclude a hospital from their network. This is especially true in rural areas where there might be just one hospital, for well-known hospitals (like Cleveland Clinic or Mayo Clinic), or specialty hospitals (like children’s hospitals). It would be really hard for insurers to sell plans without those types of providers, which gives hospitals a lot of leverage. Meanwhile, hospitals tend to have access to a decent number of revenue streams — multiple private insurers as well as Medicare and Medicaid. I think this lopsided dynamic leads to a situation where insurers don’t exert downward pressure on prices. It’s easier to pass along a rate hike to customers rather than explain why the hospital that patients want to go to won’t be included in the network. crazyeyedmcgee: From your perspective, what is the most complicated, but super important, health care policy issue to cover insofar as it is super wonky and difficult to relay to the non-wonkish? Sarah: For me, this is probably payment reform — changes to how we pay for health care, whether they save money, and how they affect patients. These are questions that are really important to answer, but ones that can be difficult to write about because they’re dealing with some really complex topics. I’ll give you one specific example: The Affordable Care Act included a penalty for when Medicare patients get readmitted to the hospital. The idea was to incentivize better health care, and not reward hospitals when they screwed up and a patient landed back in the hospital because of a complication. There’s now a big debate in the academic literature about whether this program worked — or whether it, somewhat perversely, created an incentive not to readmit patients who actually needed care, leading to harm or possibly death. This is a hard topic to write about because the data is quite dense and the answers aren’t clear. But it’s one that is vitally important to understand as we try to figure out the best ways to provide health care, and pay for it in a way that helps patients. 6) Will making prices public fix all these problems? Helpful_Junket12: Do you think the recent regulation regarding price transparency will help with this in any way? Sarah: I generally think it’s a really good idea to move to a system with more transparent prices, so I am in favor of this regulation. At the same time, I think it has a lot of shortcomings that will prevent it from moving the needle much in terms of improving patient experience. The price lists that many hospitals are releasing to comply with this regulation are often incredibly difficult to read. I tried to look up the prices at one of my local hospitals and found a 4,000-line Excel document that was nearly impossible to read. I wrote a little bit more about that here. At the same time, there are some reasons to think this could, on the margins, be helpful. I liked Elisabeth Rosenthal’s piece in the New York Times recently, which suggested that patients might be able to use these types of lists to look up the price of something such as an arm sling. “With access to list prices on your phone, you could reject the $300 sling in the emergency room and instead order one for one-tenth of the price on Amazon,” she writes. lebek1: Over the past year, what have you learned about the best practices for the average person to keep their ER bill down? Anything they should request? Any info they should be sure to give (or not give)? Sarah: This is probably the question I get the most ever since I started working on ER bills. It’s a really hard space to give advice on, though, because people going to the emergency room often have little say over the care being provided to them — especially if they’re dealing with a life-threatening, traumatic situation. That being said, I think patients are well within their right to ask their doctors why a certain procedure is being done, whether it’s necessary, and how much it will cost. Sometimes doctors won’t have the information available. But sometimes they will, and it will at least kick-start a conversation about whether this is the right treatment path for you. If possible, I’d also recommend asking the emergency room providers — or the person at the front desk — about whether they and other doctors in the ER are in network with your health insurance. Some of the biggest bills I see are from patients who went to in-network ERs but were seen there by an out-of-network doctor. barelyanonymous: What made you choose health care as the thing you wanted to focus on in your reporting? Did you see a gap where people weren’t reporting, or is it something that you just really enjoy? Something else? Sarah: I was actually assigned the health care beat in my first internship out of college, and it turns out I really loved it! The reason I’ve stuck with it for a decade now is that I really love stories where you see how policy plays out in real life. And this happens in so many interesting, exciting, and frustrating ways in health care. I really enjoy being on this beat because there are so many human stories to tell.